This beautiful home got the full treatment, featuring custom concrete, stonework, glass walls, a BBQ and more. The newest baseball facility in the Conejo Valley, packed with a plethora of stone and brickwork done by CPF. 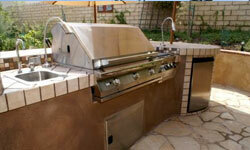 Built to order, outdoor kitchen setups. A man’s true grilling paradise. Once you let us build you a barbecue, you’ll never look back. Custom Stonework Here at CPF, we specialize in all kinds of stonework and stonemasonry features for your home or commercial space. 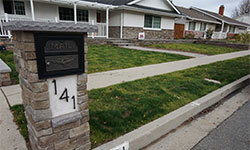 Custom designed and poured concrete driveways, pavers, water features and more! 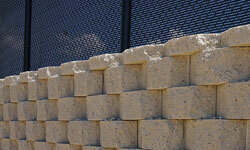 Masonry projects ranging from sitting walls, retaining walls, garden walls, property line features, fireplaces and more. 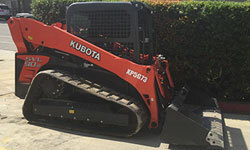 Experts in grading, ground leveling, excavating, preparing land for foundation and more, equipped with a full fleet of excavation equipment. Schedule your free estimate with us today. We are excited to show you how we can bring your vision to life. C.P.F. Masonry came out to the job and did an amazing job. The crew worked very hard and did everything we asked and more. They left the job very clean. We had changes and they worked very well with us with no problems. I will use them for all my other projects. Owner has great ideas that went well with my ideas also. 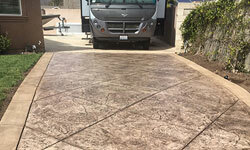 CPF Masonry has been servicing the Conejo Valley and surrounding areas since 1993- Your go-to provider of custom concrete, stonemasonry, backyard kitchens and more. Copyright © 2019 CPF Custom Concrete and Masonry. Powered by WordPress. Theme: Spacious by ThemeGrill.